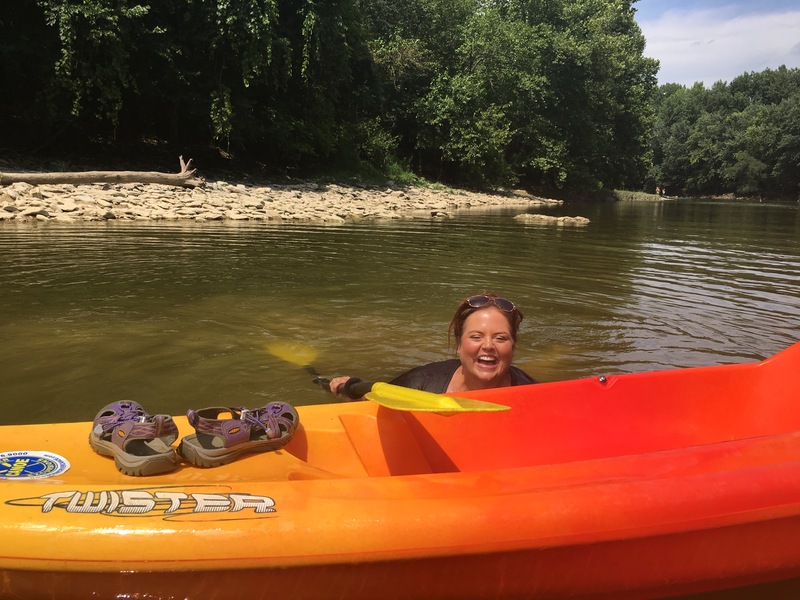 Kayaking on the Little Miami River – Go There. Try That. Paddlefest was last weekend on the Ohio River and the turnout was huge! If you saw any pictures and you’re curious about kayaking, there are some easy ways to get started! No equipment needed. Or, if you’re trying to make the most of summer before the kids go back to school, you might be looking for some end of summer adventure and family time! And, it’s hot in August so why not get out on the water to stay cool? I’m not a complete novice when it comes to kayaking; I’ve kayaked a few times, but not too much locally. I’ve been wanting to kayak more, but wasn’t sure how to get started. 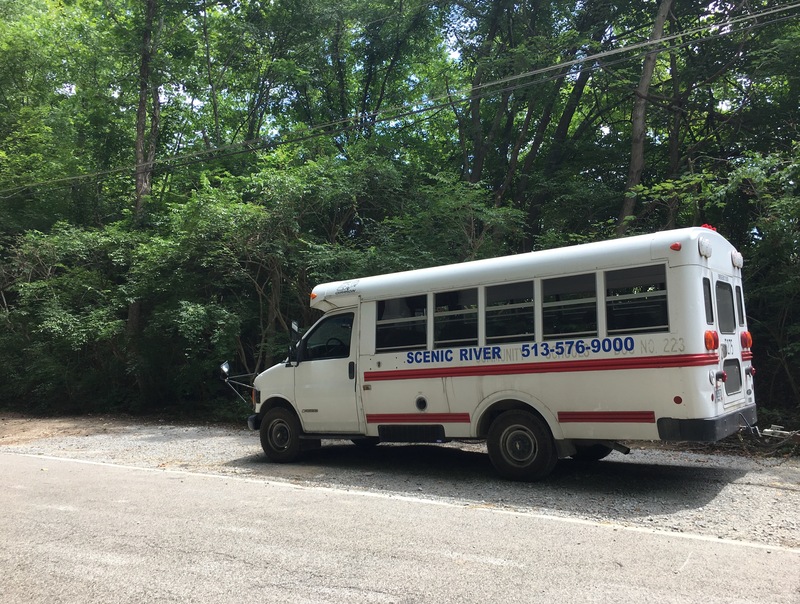 It was actually some students who pointed me to Scenic River Canoe Excursions where I was fortunate enough to try a 6-mile excursion on the Little Miami River. 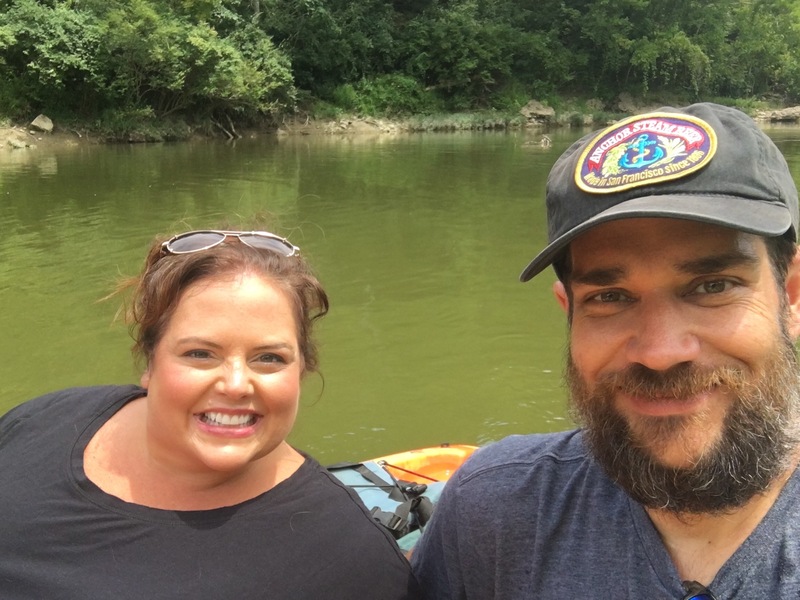 Scenic River Canoe Excursions makes it so easy! They provide the kayak (single or tandem), life jacket, and transportation to the drop off location. If you’d rather try canoeing or tubing, those are provided as well. Personally, I find kayaking more stable than canoeing. Granted, I’ve only canoed twice , but both times I flipped our canoe and we all ended up swimming. I think I have balance issues! 🙂 And, if you should tip, a kayak is so much easier to climb back into than a canoe! Trust me! And if I can get back in, you can get back in! But that won’t happen. At Scenic River, the kayaks are sit-on-top kayaks which I prefer. Remember, with all of these, you’re going downstream so you can work as hard or as little as you’d like! And, unless you’re doing the 10 mile trip, the bus loads up every 15 minutes or so which is perfect timing. 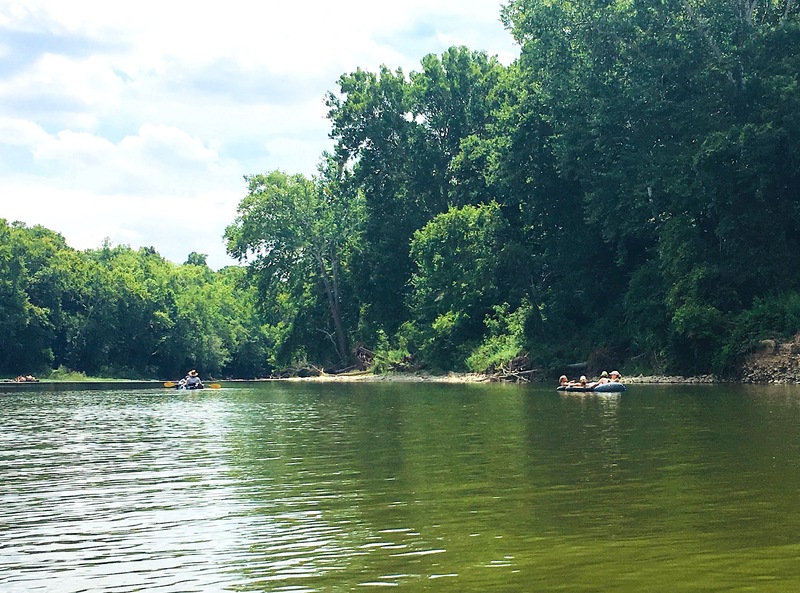 While we were kayaking, we saw a group of friends and family tubing down the river, each holding the same rope. It was sweet; everyone was laughing, talking, and enjoying some fun in the sun without having to do any paddling. If you’d like to tube, try the 2-mile option at Scenic River. Whatever option you chose, there’s plenty of wildlife, little rapids, and beach areas for resting, swimming, and rope swinging. I got giddy excited when we hit each of the little rapids; I’m sure these don’t technically count as rapids, but it felt like I was a true adventure seeker while never being in any real danger. 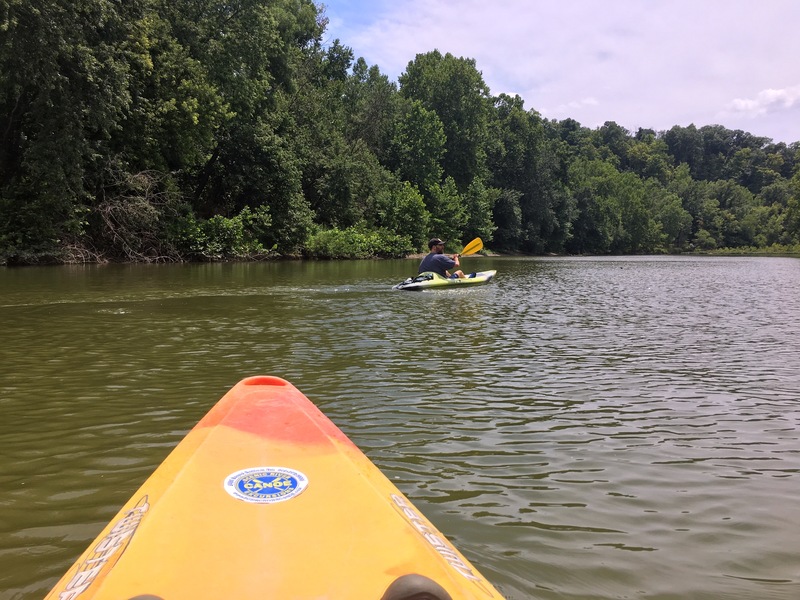 I know that there are plenty of places to kayak in and around Cincinnati; some on the Little Miami and some on local lakes and parks. You can check out the following: Lake Isabella, Miami Whitewater Forest (they have hydro bikes), Sharon Woods, and Winton Woods. 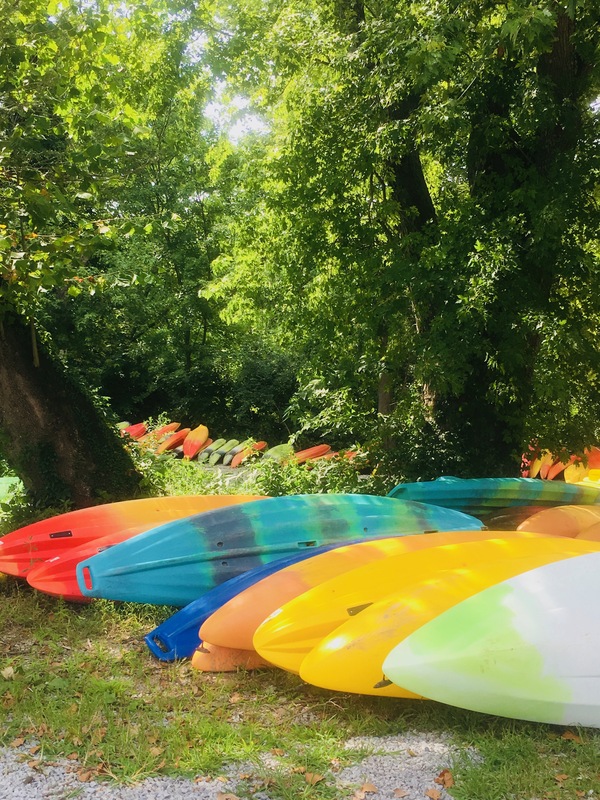 Most of these Hamilton County Parks listed above have kayaks, paddle boats, stand up paddle boards, and more. There are places to rent and use kayaks in many areas of the city. This is something everyone can do- it doesn’t matter if you’ve never been kayaking or you’re a pro. And I can’t wait to go again with Scenic River! I’m trying to make those summer days count. As I’ve said many times, I truly believe experiences matter more than things! This is a perfect experience to share with family and friends. 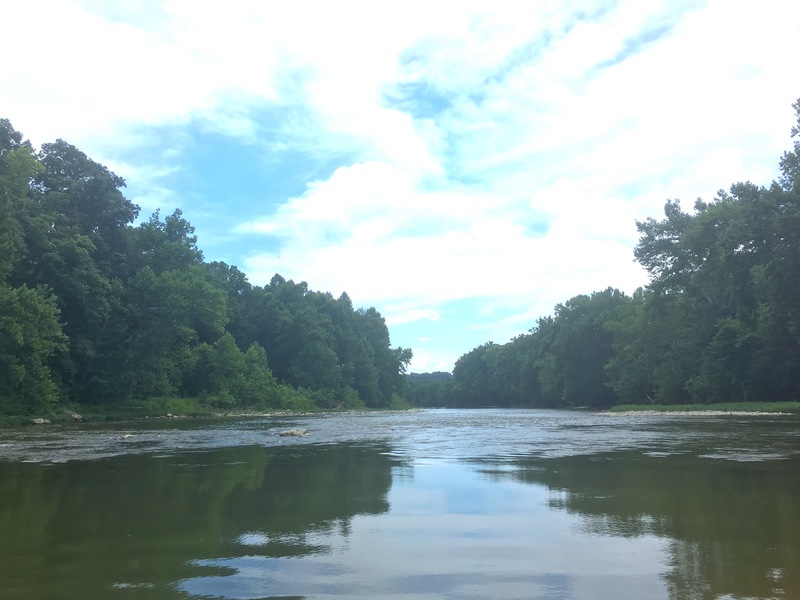 GO THERE (Scenic River Canoe Excursions)! TRY THAT (Kayaking)! Congrats to Kate Powell, winner of SkyStar tickets!